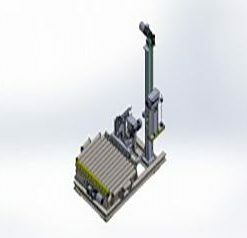 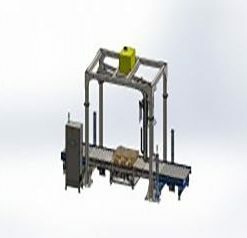 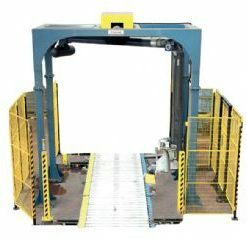 – The stretch wrapping machine is mounted at the back of output conveyor. 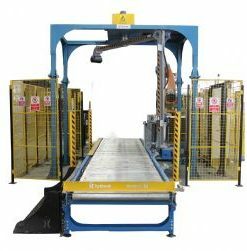 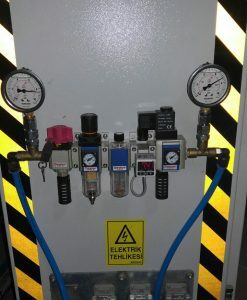 – The pallet coming from output conveyor is automatically stopped, and the label containing the data obtained from the system or programmed manually is bonded. 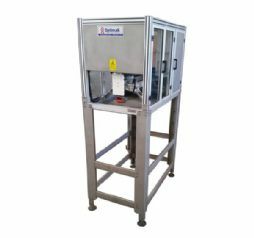 – Once the label is bonded, the reader on the returning arm confirms the operation and transmits the data back to the information system. 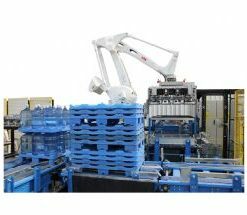 – it is possible to take action on both sides of the pallet with a single and double bracelet versions.